Toulon lock Paul O'Connell could make his debut for his new club early next year, according to the former Ireland international. O'Connell was unveiled to the media on Wednesday in Toulon and was present for the team's official squad photo. The 36-year-old suffered a serious hamstring injury in Ireland's Rugby World Cup pool win over France which looked set to sideline him well into 2016. 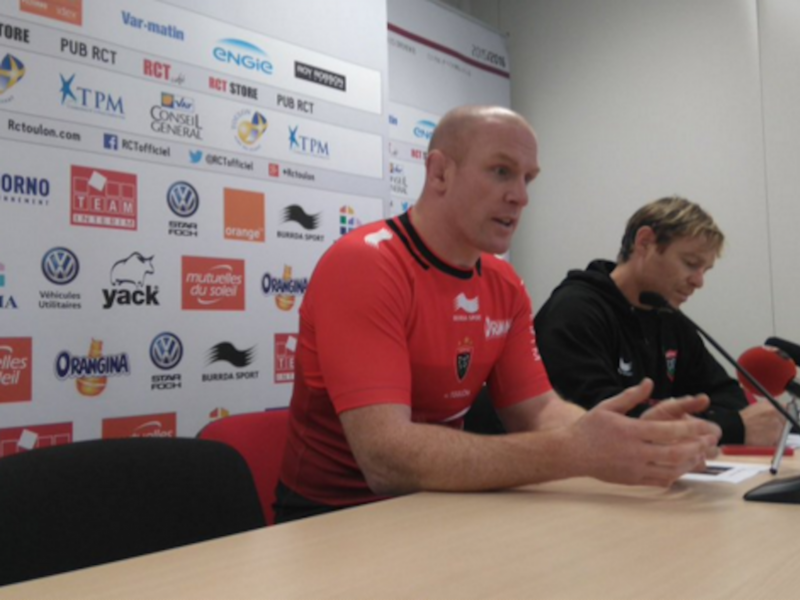 However, O'Connell had better news for Toulon supporters when addressing the media upon his arrival in Toulon. “It's good, it's on the mend. I've been doing physio back in Ireland, so I feel very good doing every day things,” O'Connell told reporters in France. Having spent his entire professional career with Munster the change of scene is a new experience for O'Connell, but one he appears to be enjoying. “I feel great. The weather's amazing, it's raining non-stop in Ireland at the moment. I've met the players, stood in for the team photo today,” he said. “A lot of guys, I was really looking forward to meeting. I know a lot of the players to say hello to, but I don't really know them. I haven't really met them or had a conversation with them. “So, I'm looking forward to getting to know them, to getting to know the staff as well. I was in my first meeting today, that was enjoyable, I watched a bit of training. It's all good. “I like it, it's very strange for me. I've only ever played for Munster, I've only ever lived in Limerick.